Looking for a twist on a classic holiday dessert? 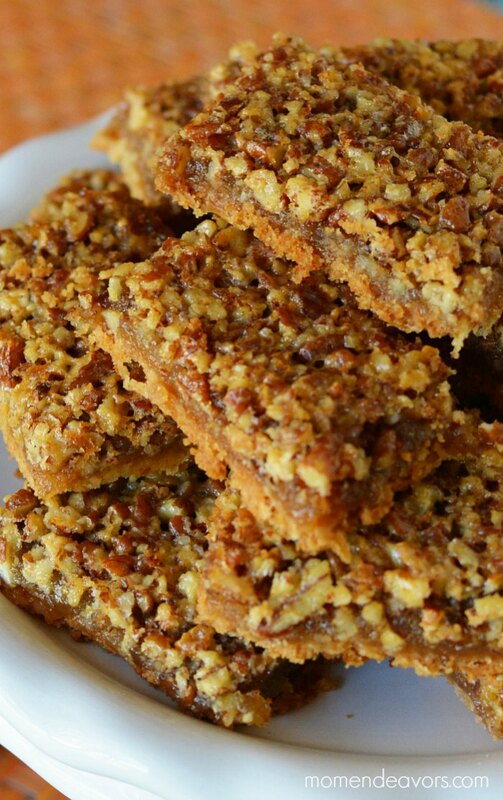 Try these pecan pie bars for a delicious sweet treat! Pecan pie is a favorite for many, especially at Thanksgiving and Christmas. The combination of sweet and salty and crunchy….SO good!! If you like those tasty pecan pie flavors. but want to change it up a bit or want something a little less messy – these pecan pie bars are a great option. They’re easy to handle and you can cut them as big or small as you’d like – easy for even just a little bite-sized amount if you’d like. Mmmmmm! Don’t they look super tasty? They’re great to bring to a holiday party! You could even go with these as an option for your holiday cookie exchange party! They’re just the right amount of crunchy & chewy and they are easy to make! 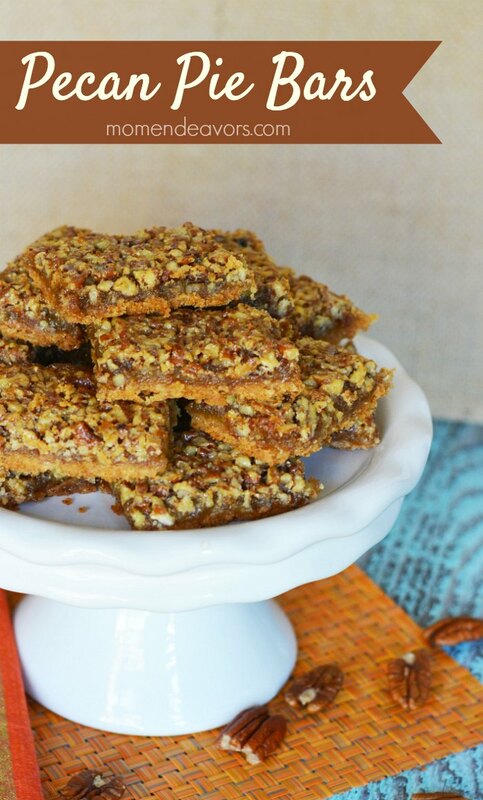 For a twist on the classic holiday pie, try these tasty pecan pie bars. Preheat oven to 350. Grease a 15" x 10" baking sheet with nonstick cooking spray. Add flour, sugar, butter and salt in a bowl. Beat until the mixture is combined and resembles coarse crumbs. Press into prepared pan. While the crust bakes, prep the pecan pie filling. In a medium bowl, add eggs, corn syrup, sugar and butter. Mix well. Spread filling evenly over hot crust and bake for 20 minutes or until set. YUM! Do YOU like pecan pie? Would these be a hit at your Thanksgiving meal or holiday party? Be sure to let us know if you try them! And if you’re looking for another tasty pecan pie option, you can try these little pecan pie tassies. SO good!